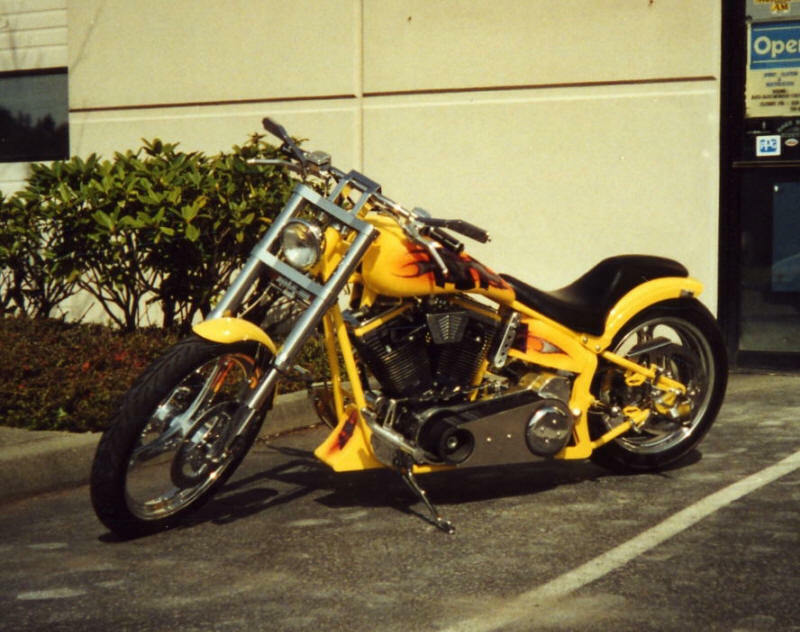 In addition to painting motorcycles, we can modify the sheet metal to achieve a custom look. Pearl white with classic flames outlined in blue. Yellow with purple, silver, and orange graphics. 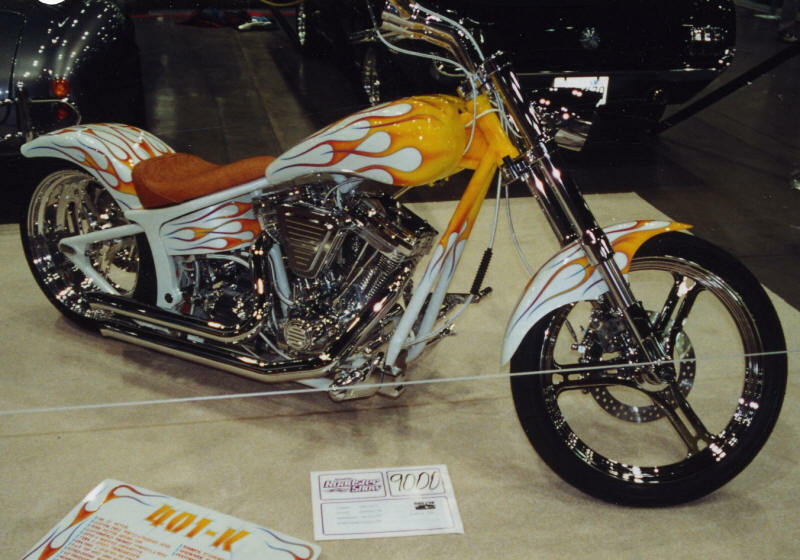 Phantom red flames behind classic flames on custom trike by Wicked Fabrication. Black with classic flames outlined in purple. 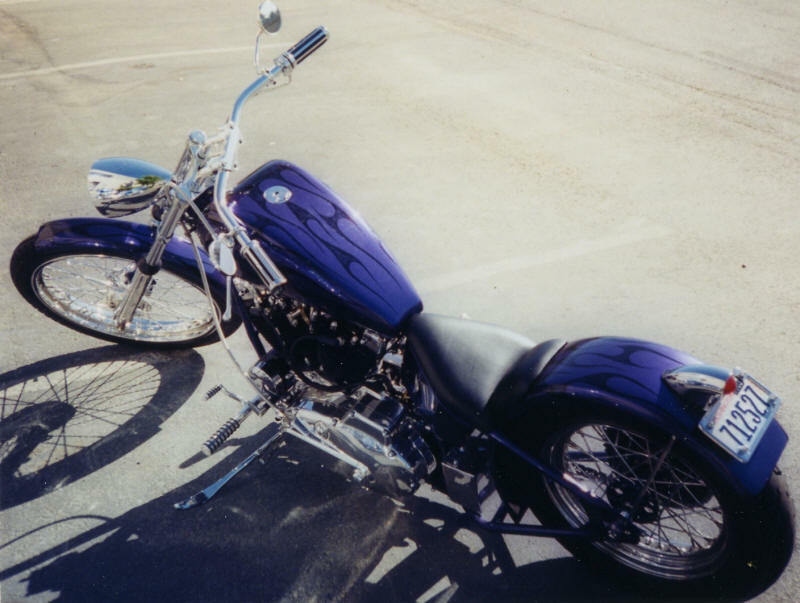 Purple pearl with black ghost flames and figures. Candy red with tribal flames. 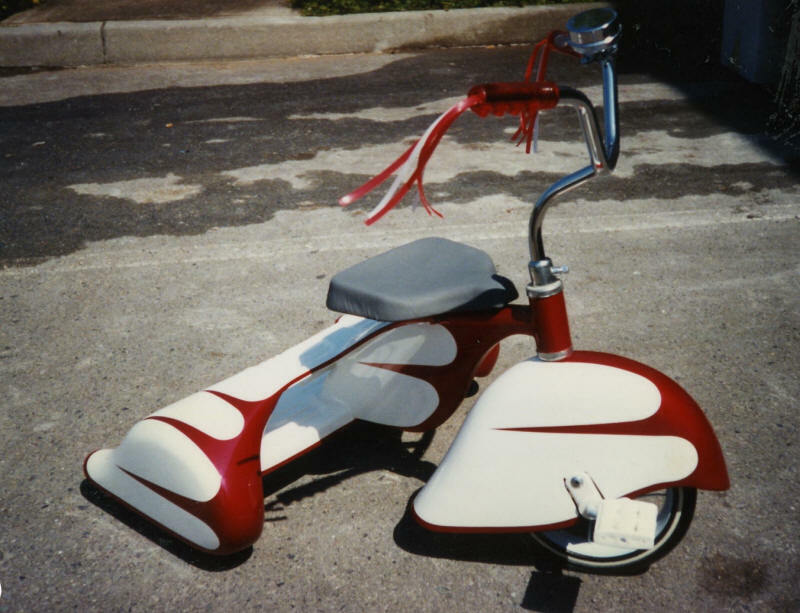 Highly-modified Toys R Us trike.